YES! One of the things I missed most about starleagues was the music. Before that I was using Shazam on my android also which works surprisingly well and finds obscure songs that i could never find googling, just by having it listen to my headset(even with rapid/artosis talking loudly). I see you keep updating the playlist on YT. Great job! "EE HAN TIMING" Jaedong vs Stork [22 December, 2007] 2set @ Finals EVER OSL. I like my coffee black as death and bitter as life. Questions for two of them. AHA Music can't find these guys. Can anyone tell me what the name of this song is plz? I've been trying over and over to find the song starting at 3:45 and ending at 5:30 in Volsung post, even used some various recognition tools but without result. Never failed to find a song with so much of the lyrics being audible but it seems this time Google has failed me. If anybody knows, and can share the info, it would be much appreciated. I know that this thread is rather old, but figured what I had was worth bumping it for, especially when considering that this is basically the top hit when searching for ASL track listings, and that the following is mentioned basically nowhere else, that I can make out of anyways. 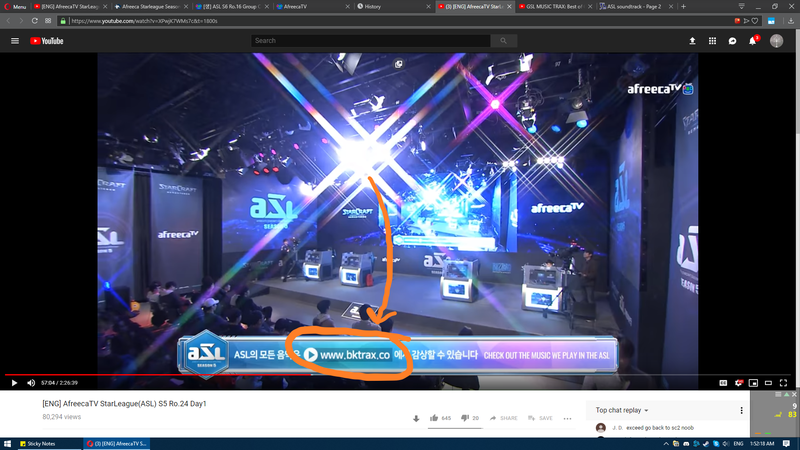 As of the date of this posting, only some days on the most recent GSL season is there (with no ASL stuff on there at all). You could probably poke/bother him a bit and he would post some ASL stuff too I'd figure.